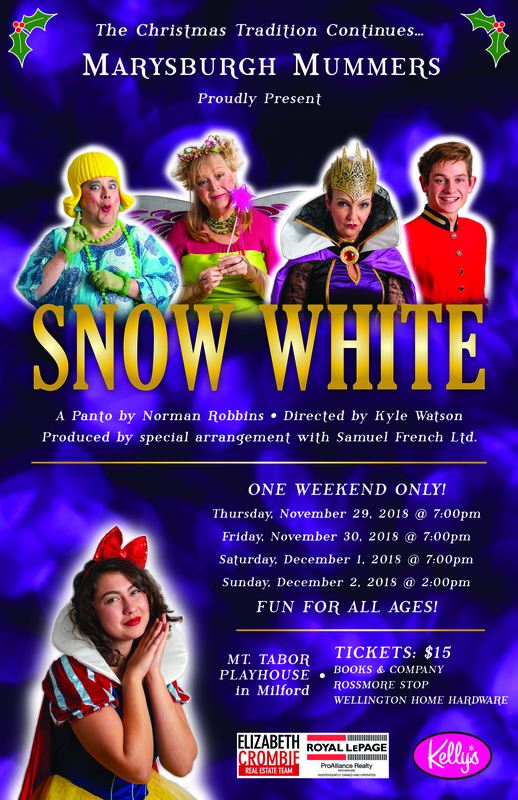 The Christmas tradition continues with 4 performances only of Snow White. A panto by Norman Robbins, directed by Kyle Watson. Produced by special arrangement with Samuel French Ltd.
November 29 – 7 p.m.
December 1 – 7 p.m.
December 2 – 2 p.m.
← Previous Previous post: The Little Mermaid Jr.